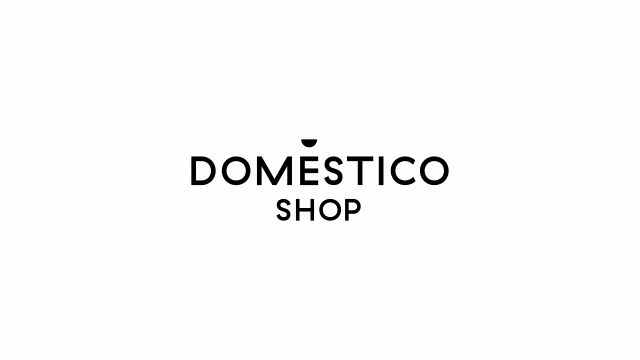 Domésticoshop is the leading Spanish online retailer of designer furniture. 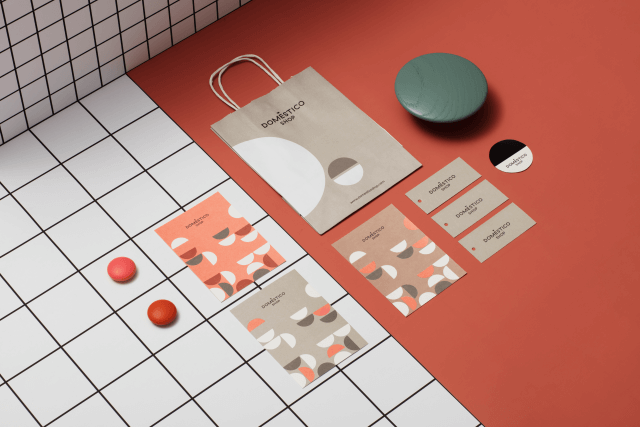 In anticipation of its new “Doméstico Market” concept and the opening of a flagship store in the city of Barcelona, it set out to revise its brand architecture and the artwork accompanying its products. 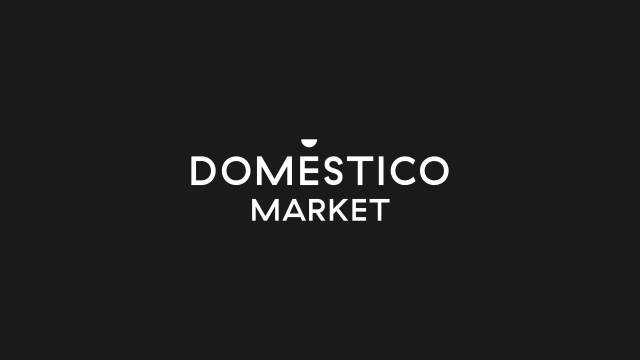 The new trademark turns the accent in Doméstico (which has a hard life in online settings) into a distinctive element of the brand’s personality by replacing it with a semicircle. 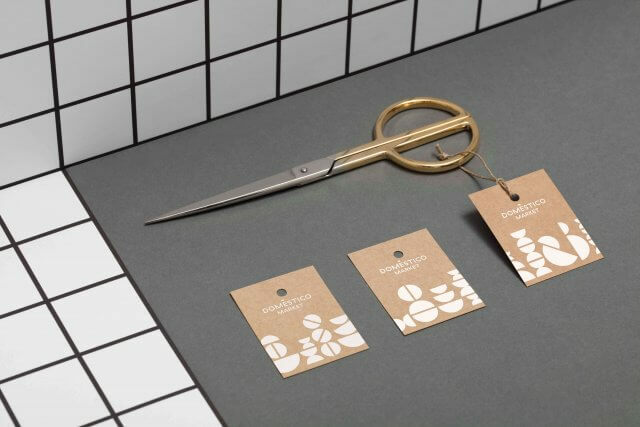 The semicircle is integrated into the logo but can also function alone as a formal element, and it can be used as a minimal unit to generate different visual languages and representations according to the structure of the composition. 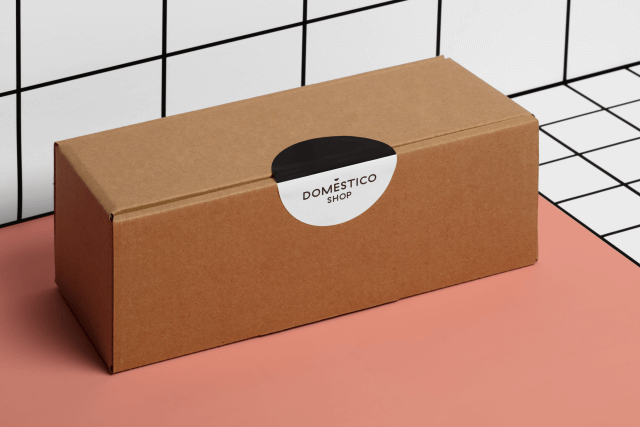 The DOMÉSTICO SHOP and DOMÉSTICO MARKET brands use the same codes but in different ways. 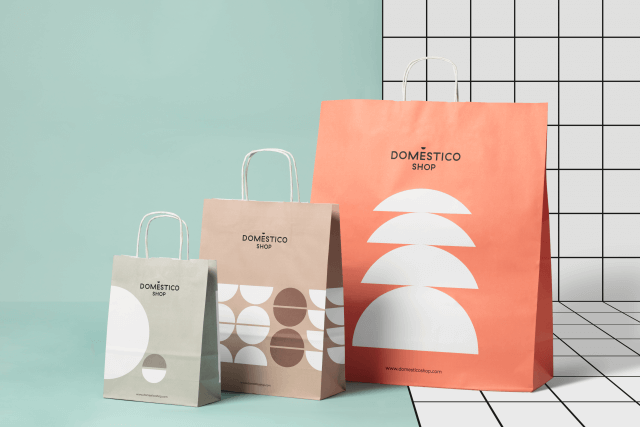 DOMÉSTICO SHOP’s visual approach is centered on minimalist and reduced compositions: In the majority of its applications, the semicircle appears in only one size. 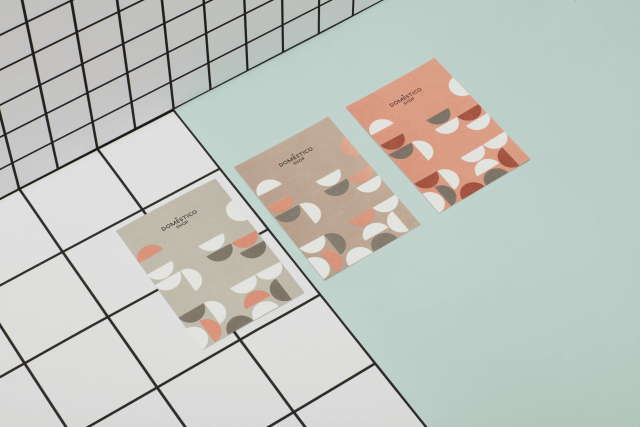 As for color, the range is widened with a series of color pairs, giving rhythm to the arrangements of semicircles as they move in a rainbow of colors. 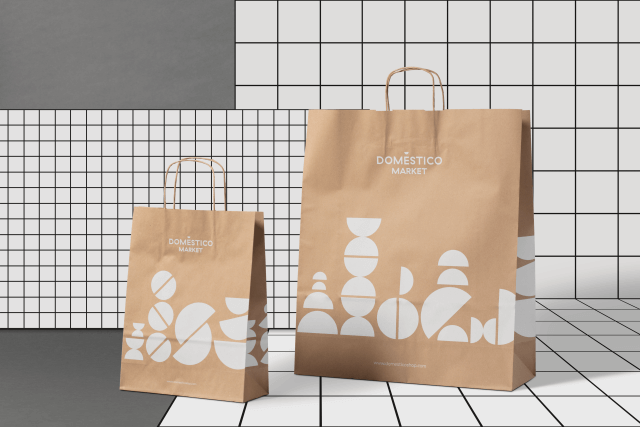 The language of DOMÉSTICO MARKET remains abstract, with arrangements of semicircles that begin to appear as small, horizontally aligned objects. 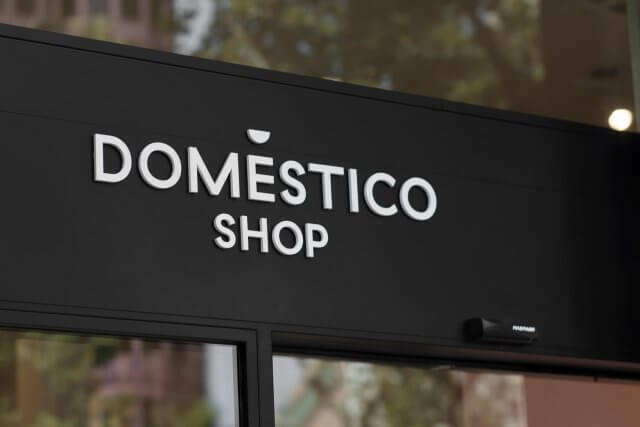 Hardly recognizable, they have a more figurative character than those of DOMÉSTICO SHOP. 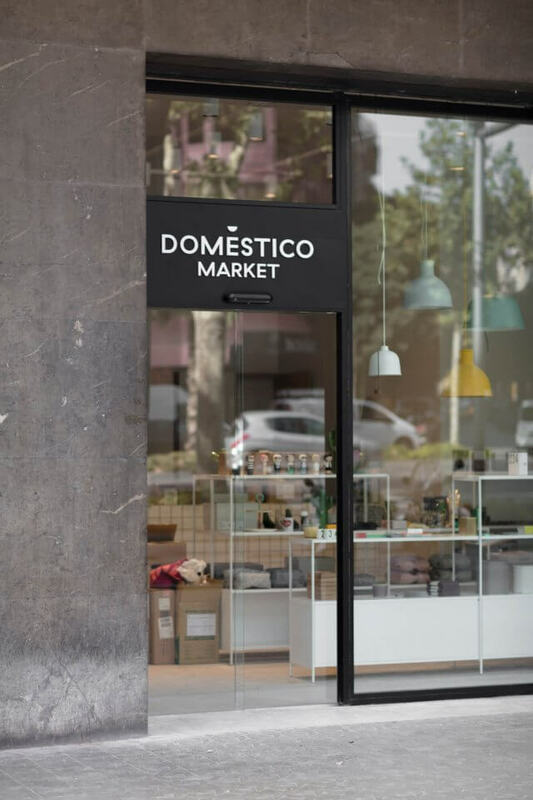 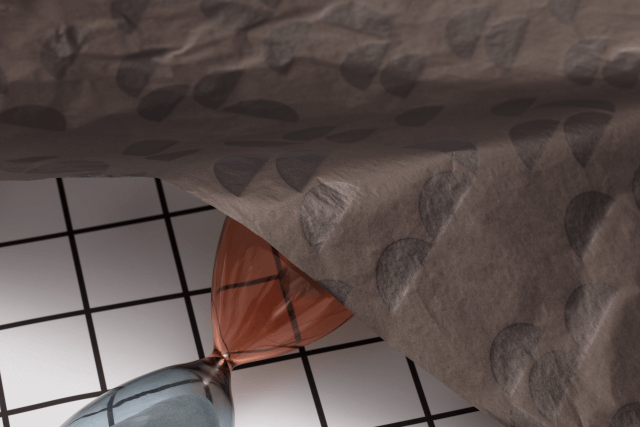 DOMÉSTICO MARKET is also distinguished by its finish: brown kraft paper printed in white.